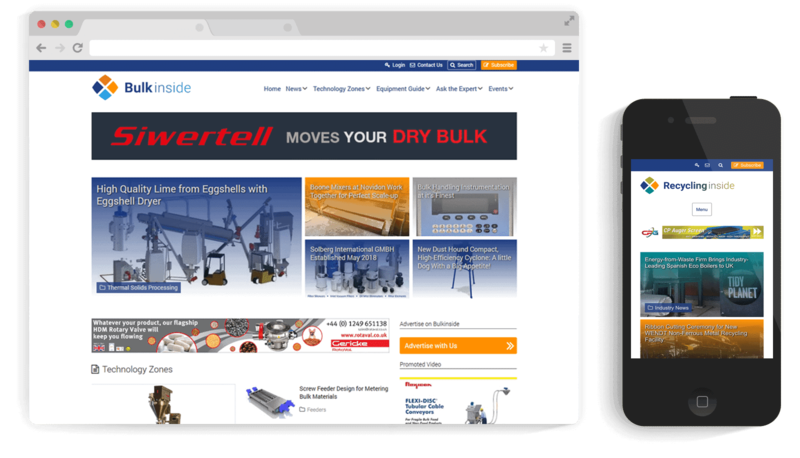 Groundsailer Media is an international business-to-business media company that offers multiple digital channels for connecting readers and manufacturers in the field of bulk goods handling, fluid handling and recycling. 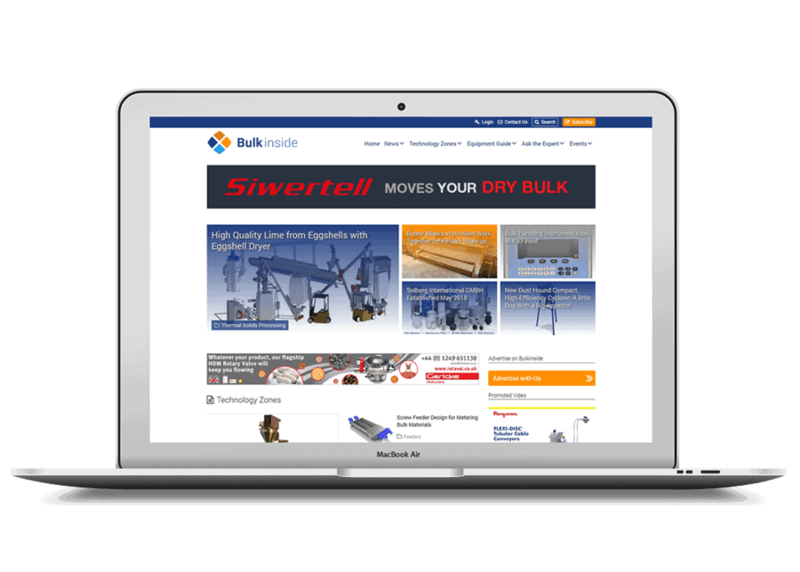 For Sake Rietveld, owner of Groundsailer Media, a number of new websites have been realized. Marcel Bootsman of Nostromo has hired gonzodesign to integrate the new Corporate Identity and to design a new layout for these 4 new websites (bulkinside.com, bulktech.nl, recyclinginside.com and fluidhandlingpro.com). We choose to use a WordPress Multisite network with a uniform Magazine layout, because the different websites contain the same functionalities and have the same content format. 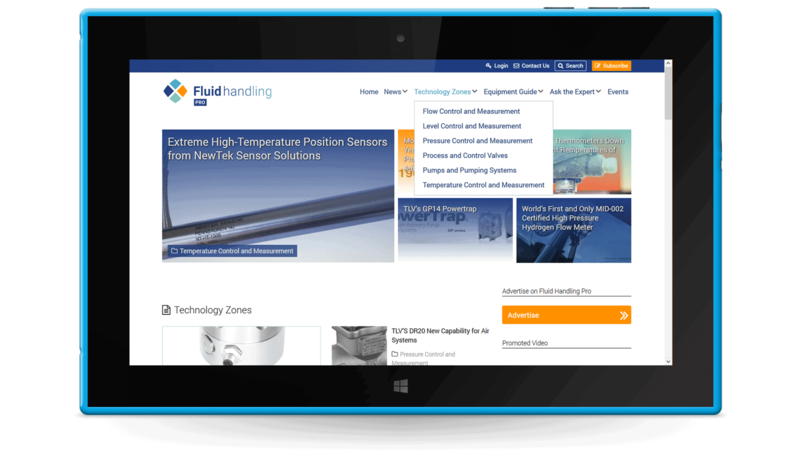 The different functionalities of the site, which were coded by Marcel into a separate plugin, include: Custom Post Types, Custom Meta Boxes, User Profiles for suppliers, Extensive home page with widgets, Banner rotation and management, Registration of news by visitors, Registration as a supplier and a Product Guide. gonzodesign was responsible for coding the necessary CSS (Cascading Style Sheets) files for the layout of the websites. In consultation one standard CSS file was created in which the standard layout / styling of all different basic HTML elements are defined, and 4 separate CSS files per Child Theme are made for eg. the corporate identity colors of the different HTML elements. The CSS files of these sites use CSS3 Flexible Box Layout Module (in short: CSS Flexbox). This CSS specification contains an extensive set of possibilities to develop layouts where the order of your HTML code is much more flexible and responsive by default.